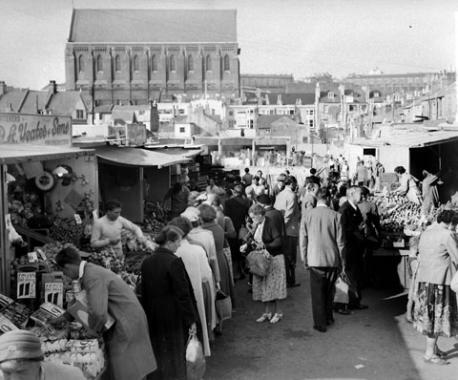 The history of Brighton’s Open Market began in the 1880’s when barrow boys began selling fruit and vegetables in Oxford Street. This provided a source of cheap food to people on low incomes. In the early 1920s, Brighton Council attempted to move the barrow boys from their Oxford Street pitches. The traders did not want to go, resulting in the ‘battle of Oxford Street’ where Harry Cowley led a mass protest against the plans. As a result the barrow boys and stall holders were given permission to trade in the central rose-walk of the Level. This continued until 1926, when the market moved to Marshall’s Row, the beginnings of the present site. In 1938, the houses on Marshall’s Row were demolished and several permanent market stalls were created, expanding the site. It’s success continued and in 1960 an expanded market with 42 stalls was opened by the Duke of Norfolk. Though the new market initially thrived, it suffered a slow decline in trade from the 1970s onwards. 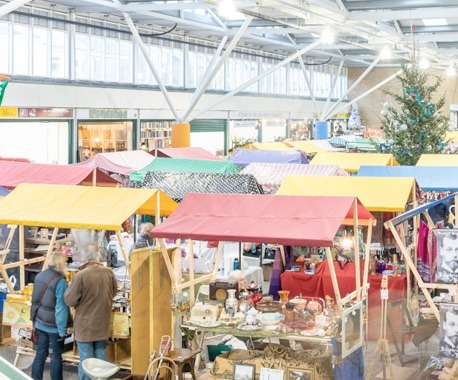 The new market is owned by the Brighton Open Market Community Interest Company (CIC), as a social enterprise for the benefit of the local community.